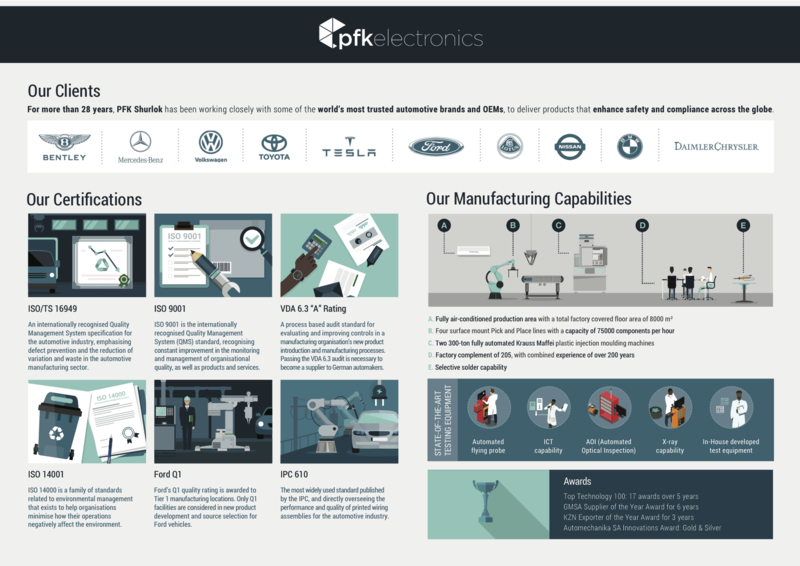 PFK proudly designs and manufactures all of our products in-house with a team of top design engineers, ensuring that we consistently deliver the level of quality that PFK partners and their clients have come to expect over the years. Our manufacturing and testing facilities in Pietermaritzburg cover an area of more than 8500m², allowing for cutting edge design and rigorous testing of every product we create, including those sold under PFK Shurlok and the three Autowatch brands. As a proud designer and manufacturer, PFK offers build-to-print and manufacturing expertise to an array of customers. 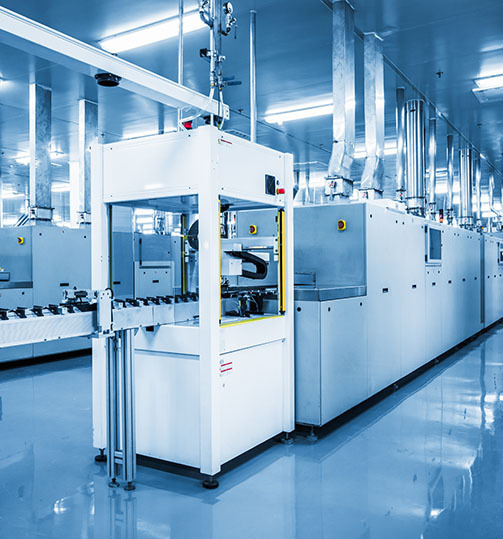 Our contract manufacturing products encompass electronic design and manufacture, specialised plastics, mass manufacturing and other unique expertise. View our Manufacturing Capabilities Infographic or send us an enquiry below. Our state-of-the-art facilities are equipped to manufacturer custom OEM products according to spec, using international best-practices in the design, manufacture and testing processes. Our SMD plant boasts four assembly lines capable of placing 150 000 electronic components every hour, while our high quality standards are maintained through production testing equipment developed in-house; including pneumatic, mechanical, electronic, firmware, networking, operator interfaces, optical and X-ray testing.